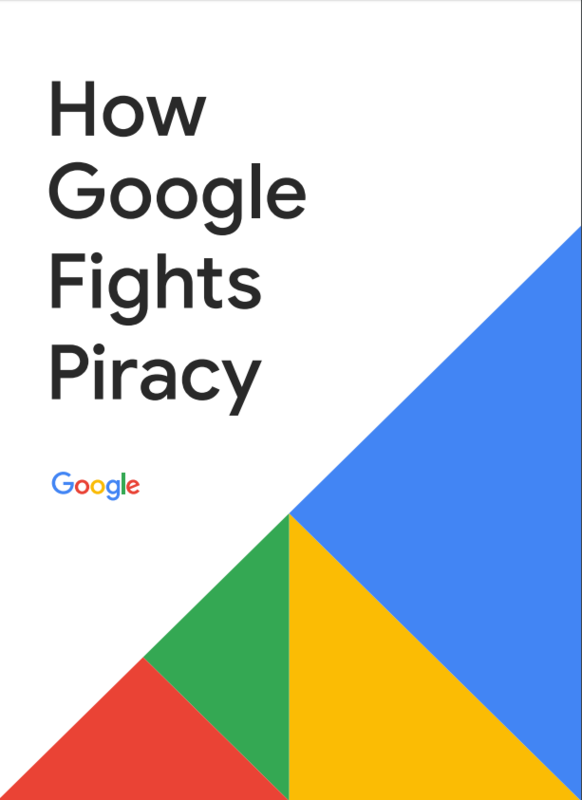 Google has released the report “How Google fights piracy”, in which the search giant explains what programs, policies, and technology it uses to combat copyright infringement on the Internet. With the anti-piracy measures, Google wants to ensure that creators and artists have a way to generate revenues from their work. It’s not entirely strange that Google wants to protect creatives and make sure they can make money from their work. With YouTube, the company has an important platform for creatives. Over the past year, Google paid more than $3 billion in revenue to rights holders that uploaded content to the video streaming website. YouTube paid the music industry an additional $1.8 billion from October 2017 to September 2018. The entire amount was generated by advertisement on (music) videos. Google also reports it has invested more than $100 million in “Content ID”, its copyright management tool. Currently, the tool is used by more than 9,000 YouTube partners to identify and manage their content on YouTube. In the Content ID database there are more than 80 million references files. These reference files are uploaded by the content owners, if a pirate uploads the same content, the content owner can choose to block it, or to show ads on the video from which the revenues go to the content owner. In the report (PDF) Google states that 98% of copyright claims on YouTube were made through Content ID last year. In more than 90% of all Content ID claims, content owners choose to show advertisements, generating significant revenue for YouTube partners. Google also hopes that more legal alternatives will help to fight piracy. If demand of legal offers satisfies demand of consumers, piracy rates will drop, the search giant argues. “Today, our services are generating more revenue for creators and rights holders, connecting more people with the content they love, and doing more to fight back against online piracy than ever before. We’re proud of the progress this report represents,” Google concludes.